In this edition of Fake Fone Funk- Funkmaster V calls in sick to the Family Dollar after a long weekend of watching gangster movies. Vinnie Vineyard is not going to be the next governor of Tennessee. When Tennessee voters go to the polls Nov. 6, they will elect Republican Bill Lee or Democrat Karl Dean, both of whom won their primaries earlier this month. But, as is always the case, there will be a long list of independents on the ballot. One of those names will be Vinnie Vineyard, a professional wrestler and the host of a local ghost hunting show in Pigeon Forge, Tenn.
Vineyard, who goes by the name FunkMaster V in the wrestling ring, is not a dumb man. He knows he's not going to be living in the governor's mansion next year. But he, along with other Tennessee Libertarians who will be sprinkled on the ballot in November, are trying to make a point. They don't believe in the two-party system. 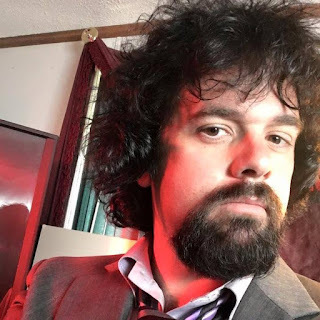 Vineyard, who is getting his campaign cranked up this month by posting videos on YouTube, utilizing social media and calling newspapers around the state (like this one), believes the two-party system and FunkMaster V have a lot in common. Vineyard, or FunkMaster V, is clearly not a traditional candidate for governor. In one of his YouTube videos he talks about 2016 Libertarian presidential candidate Gary Johnson, “reefer” and getting a hair cut. “If Gary Johnson can stop smoking reefer to run for president, I guess the least I could do is cut off all this hair to run for governor of the great state of Tennessee,” Vineyard says with his long hair flowing. One second later there's a quick cut to a grinning Vineyard with much shorter hair. That's not to say Vineyard doesn't have some serious points to make. He doesn't think its fair that Democrats, Republicans and independents only need 25 signatures on a petition to get on the ballot, while anybody wishing to have a third-party affiliation next to their name need about 40,000, which is a percentage of those who voted in the previous election. Vineyard said it took him three hours to get 37 names on a petition, which means 40,000 is impossible for him and most other third-party candidates. At this point, most people interested in politics are aware of the Libertarian Party. Ask Vineyard about his party and he'll mention the normal talking points: decriminalizing marijuana, peace and a smaller, less-intrusive government. His main point, however, seems to be enabling those outside of the two-party system to have a meaningful role in government. Jeff Ireland is The Leader's sports editor. To contact him, call 901-476-7116 or email jireland@covingtonleader.com.